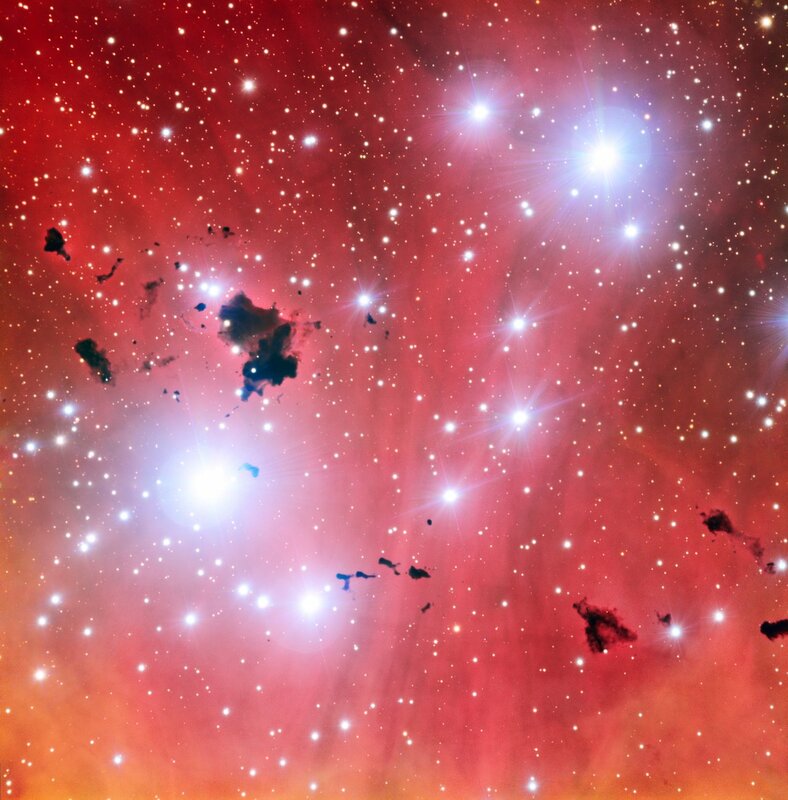 ESO Supernova Exhibition — What does the Milky Way look like? Our Milky Way galaxy is not just a vast collection of stars — it has a definite spiral structure, with a central bulge, a disc with spiral arms and an outer halo. 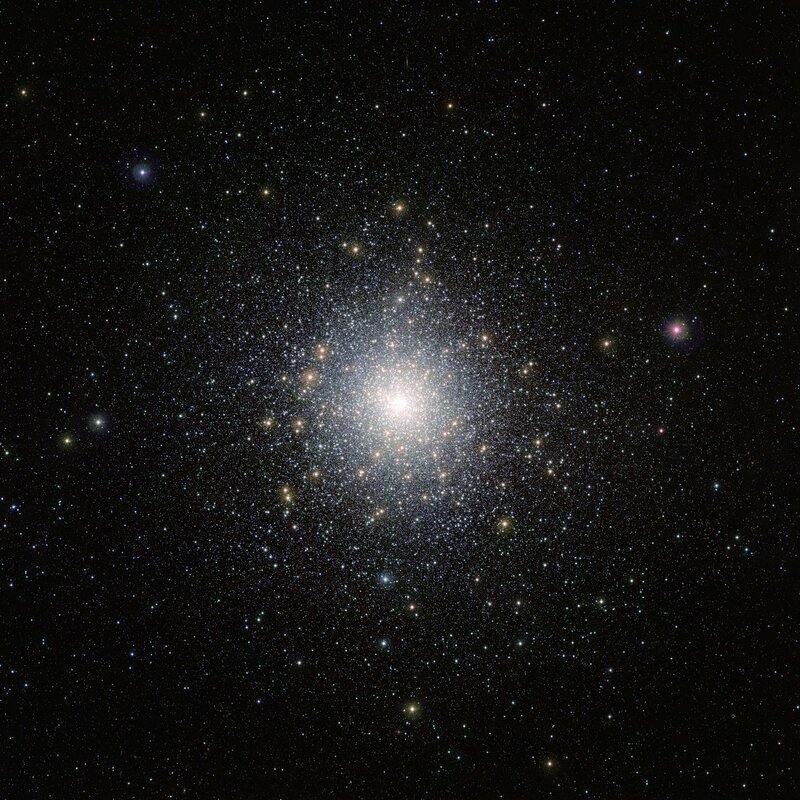 Stellar swarm: Globular clusters, like 47 Tucanae, are found in the halo. 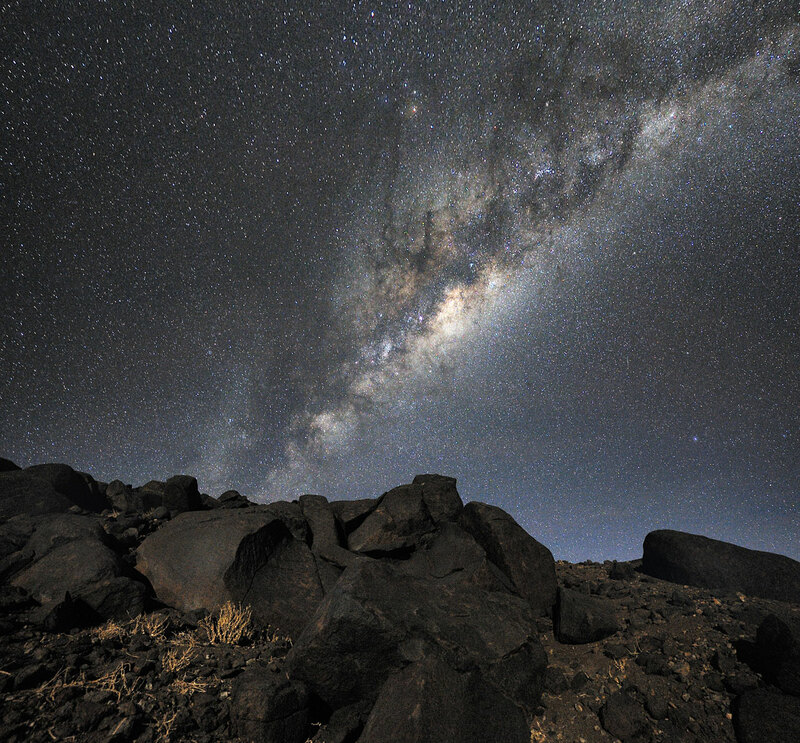 They are among the oldest structures in the Milky Way galaxy. Credit: ESO/M.-R. Cioni/VISTA Magellanic Cloud survey. Stuff in between: Everywhere in the galactic disc clouds of dust and gas can be found — the nurseries for new generations of stars. The Milky Way is a spiral galaxy. Its two main visible components are the spiral arms and the central bulge. Spiral galaxies like our Milky Way appear to be very flat – except for their central region. But that is something of an illusion. Our galaxy is also surrounded by a halo. Hundreds of old globular clusters swarm around in the extended halo. The spiral arms contain stars, cold molecular gas, glowing star- forming regions and dark dust. The galactic bulge contains mainly older stars, and appears redder than the spiral arms. Since the central bulge is elongated, the Milky Way is classified as a barred spiral galaxy. 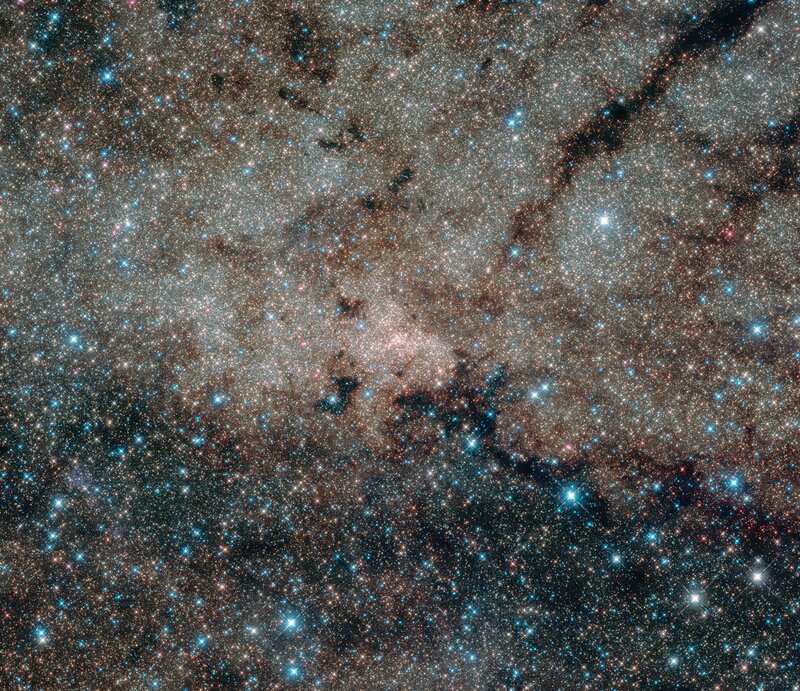 Milky Way bulge: The elongated bulge, consisting of billions of stars, is the central part of the Milky Way. Insider’s view: Seen from our point of view in the Milky Way’s outer regions, our home galaxy appears as a band of light in the night sky. The Milky Way resembles a fried egg, with the thick yolk in the centre. But there’s one important difference: a fried egg doesn’t have spiral arms.